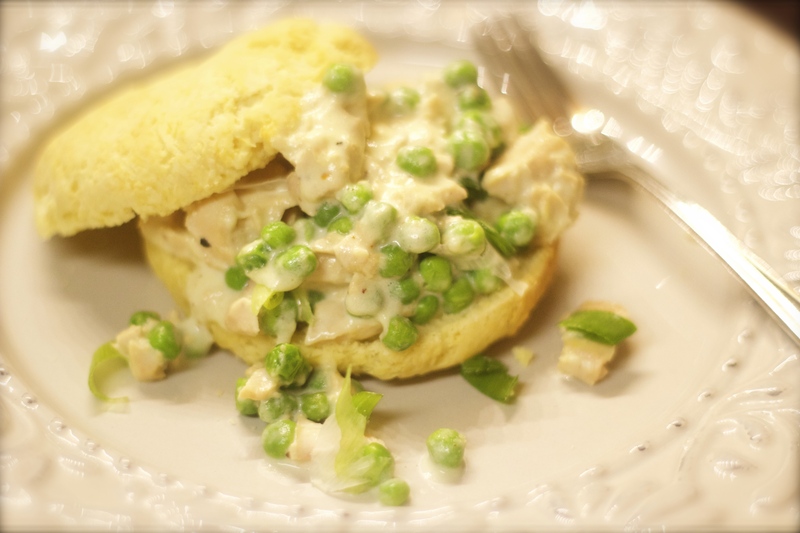 Gluten Free, Tuna in a Biscuit… I did not forget! 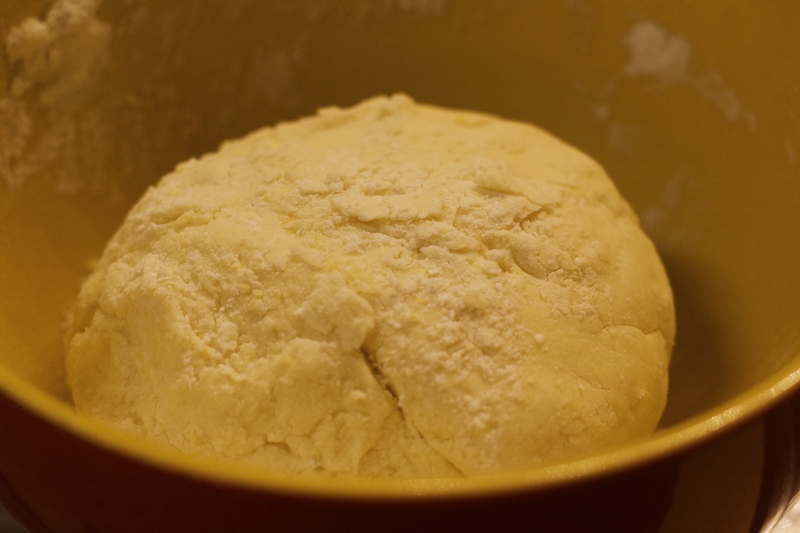 This morning, I woke up and it was already -4ºF… Thinking today is the day to bake anything… or everything. By early evening, after crunching on homemade granola, needed something calming. Remembering my promise to record the recipe for the gluten-free buttermilk biscuits, I wanted something more interesting than jam to complement these biscuits. I attended an all-girl high school, populated by all the “smart” girls from across the city. It was a rather diversified population of young women… Many of whom desired to have a career outside of home. Yet, we were required to take a “Home-Economics” class. Here we learned to sew and cook. Fortunately, our teacher was keenly aware of which young ladies were ill-suited for the class and gave us a humorous pass on many projects. We had to try though… My big fail was “Tuna in a Blanket.” The most challenging aspect being the dreaded biscuit… She held up one of my carefully baked biscuits as a demonstration for how not to make a “hockey puck.” Seriously. Years later, after my grandmother taught me to bake a good biscuit, I wanted to return to that school to let her know, I finally got it! It was not to be though because she had retired and moved on. My béchamel sauce, however was beyond reproach. It was simply elegant. So dinner tonight was gluten free… including the sauce… (a tad bit more challenging). Gently fold in all ingredients. Use cold (my butter is grated) butter for a lighter biscuit. When experimenting with a gluten free flour for the biscuits, as previously indicated, the first batch was tasty, but after cooling down, the biscuit was like the ‘hockey puck”. 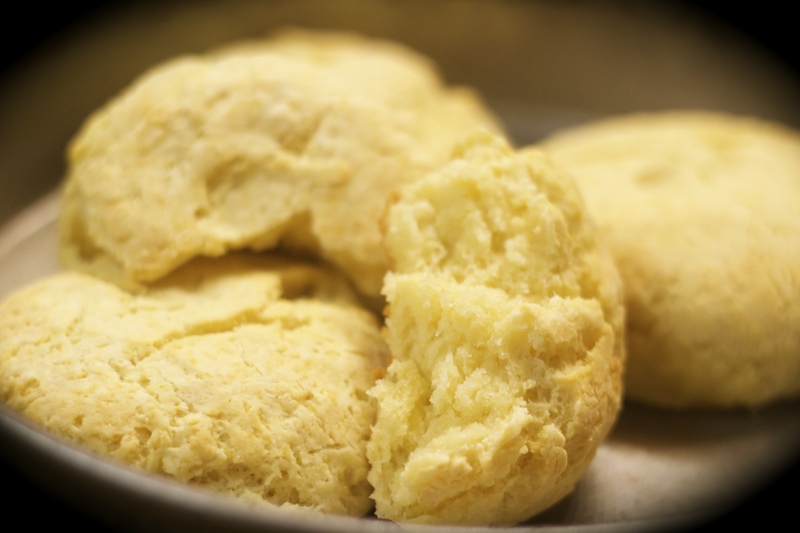 The second batch was perfection… a light, fluffy and tender biscuit with a slight crunchiness as you bite into the biscuit. What was different? 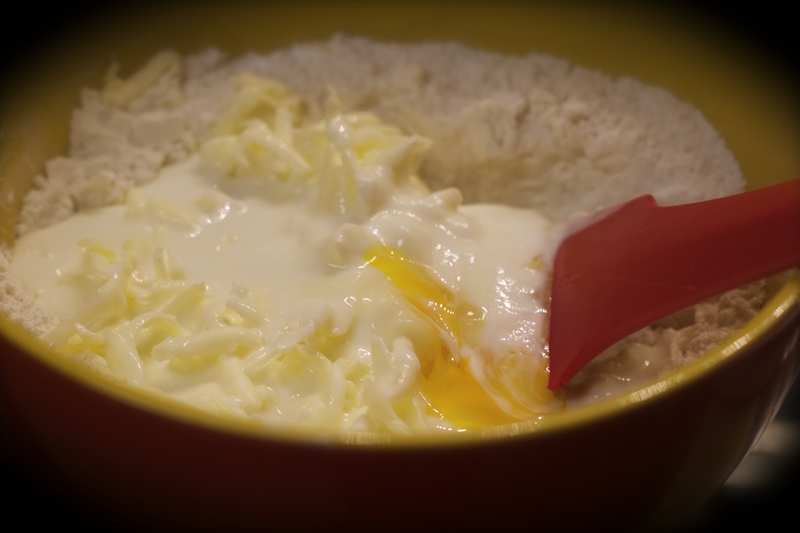 I separated and added an egg… The yolk went directly into the dough while the white was beaten to soft peaks and then added. It provided a perfect lift to an otherwise dull and not so tasteful pastry once cooled. 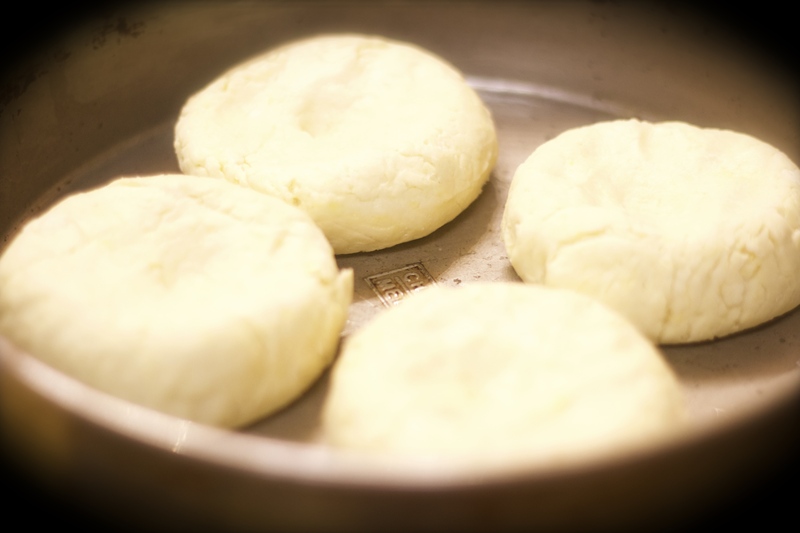 The second batch of biscuits were simply a drop biscuit; these were hand-rolled into a dinner sized biscuit. 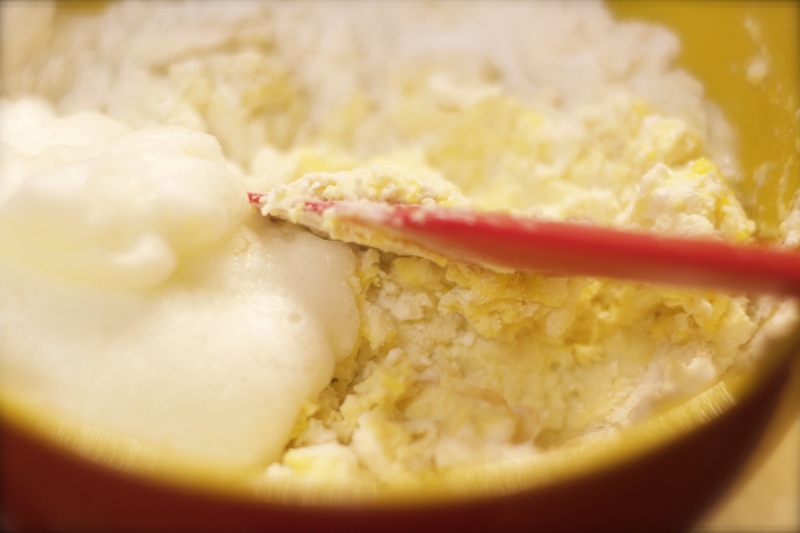 Mix dry ingredients… Add wet ingredients and fold together until well-blended. (Do not over mix.) Shape biscuits and bake in a 400º oven for about 12-15 minutes. Test for doneness… Lightly browned. You might ask about the absence of sugar. Generally, I do not add sugar to my biscuits… Otherwise, I would call them scones. Some people add a teaspoon of sugar and that is of course, optional. Split biscuits in half and serve to your pleasure. I chose a combination of tuna and peas folded into a béchamel sauce… garnished with spring onions. There are certainly many health benefits by choosing gluten-free foods, when you can and regardless if you don’t have celiac disease or if you are not sensitive to gluten. Many farmers today use a dwarf wheat and when processing remove many vital nutrients, including the bran and germ. Removing these vital nutrients leaves us with “wheat” product with the ability to spike blood sugars. Basically, the “flour” we purchase is not what our parents or grandparents used. All of this from my TINYKITCHEN working hard to produce GREATTASTE and from a BIGHEART.